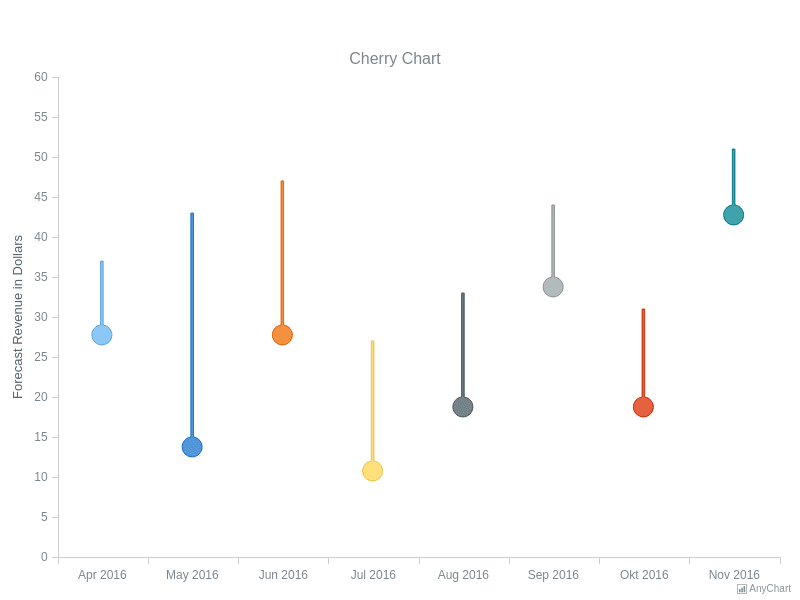 BySpot Hover LogicA Polar Chart with hovering settings customly adjusted, depending on the shape of a point and the distance between the center of the axes. 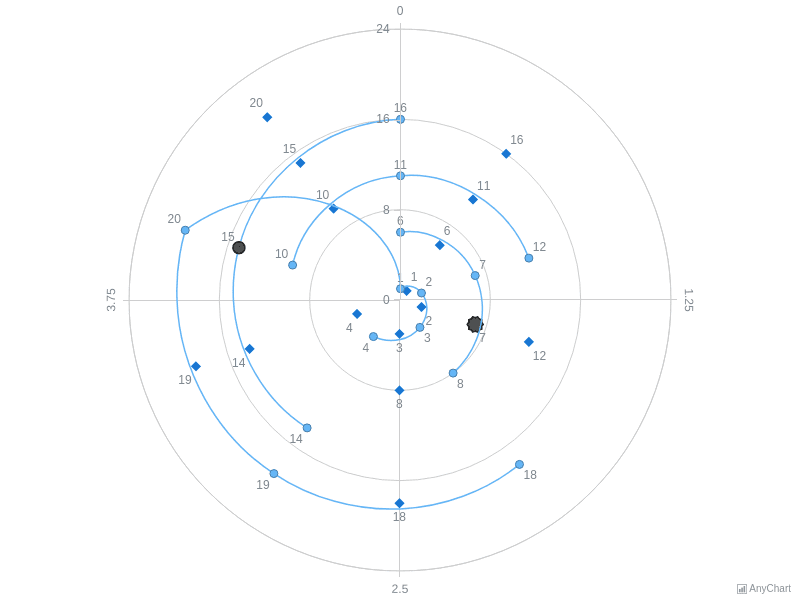 The closer the cursor is to the center, the wider the angle is. 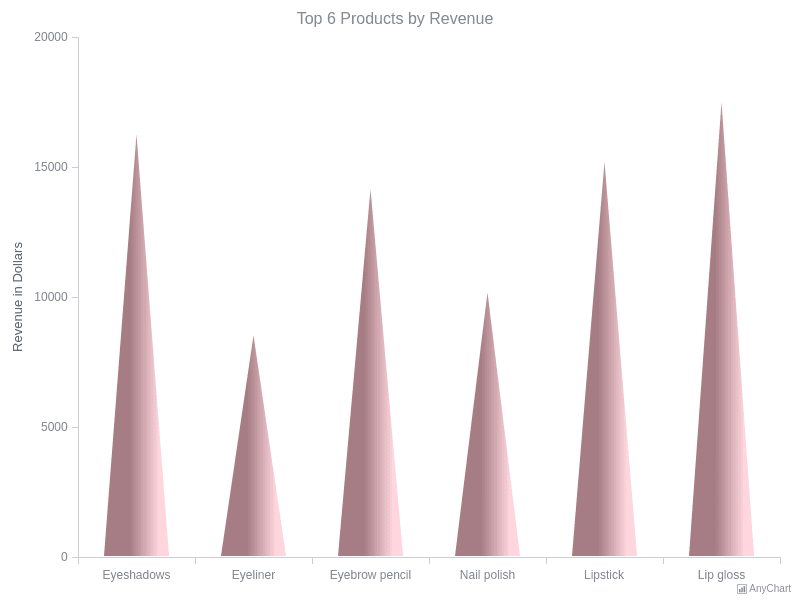 Custom Funnel ChartCustom Funnel Chart example. 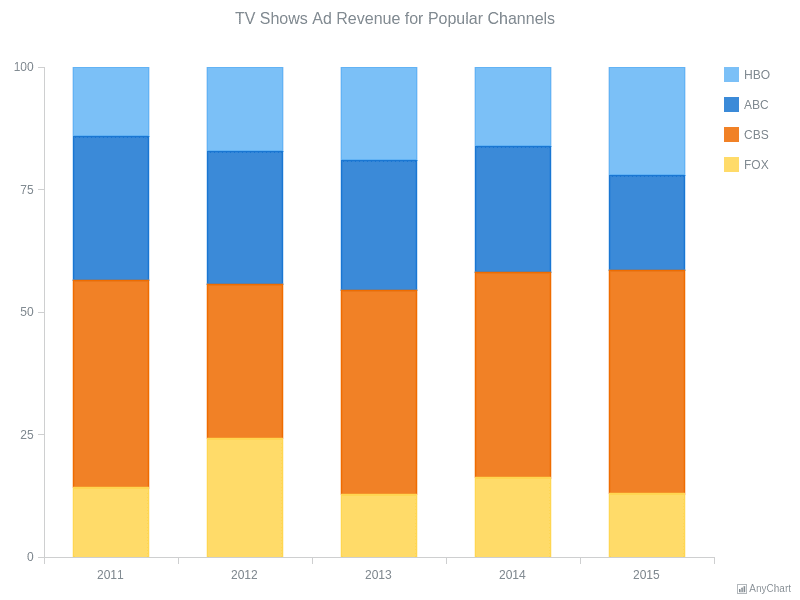 Custom Stacked TooltipA Column Chart that displays how much revenue had a TV company got from shows adverts on different channels. 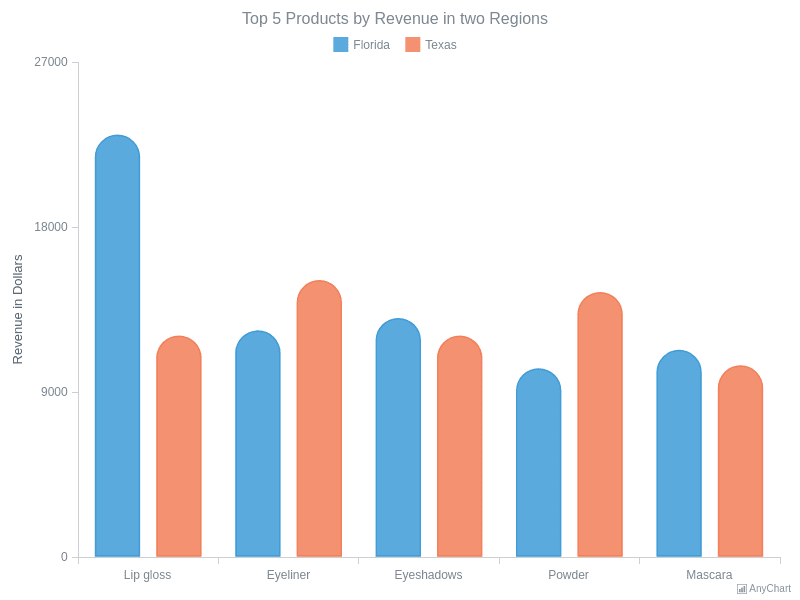 This Chart has a custom-built stacked tooltip. 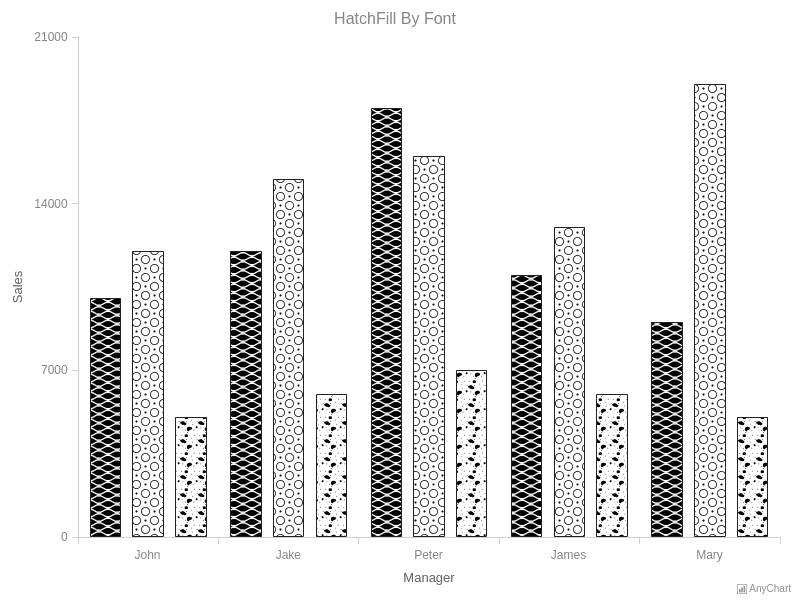 HatchFill By FontA Column Chart with 3 series each filled with a hatchfill using patterns of a one letter of a custom font. 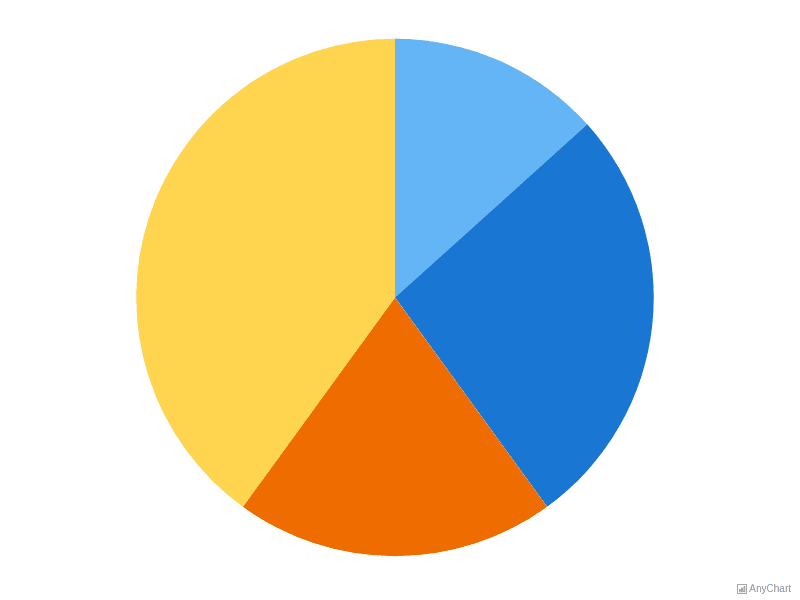 Pie Chart Beauty ArcA minimalistic sample of a Pie Chart with no elements except for the chart itself. 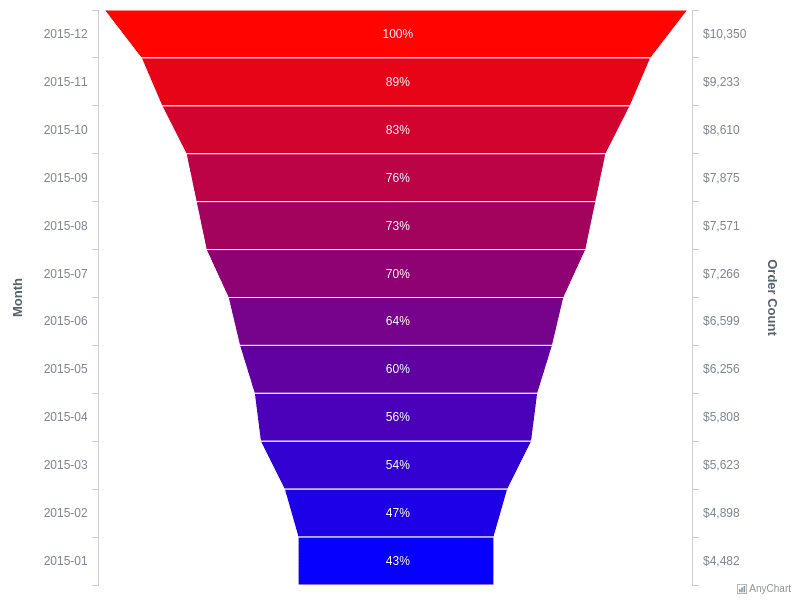 An arc appears outside each piece of a Pie when it is hovered or selected. 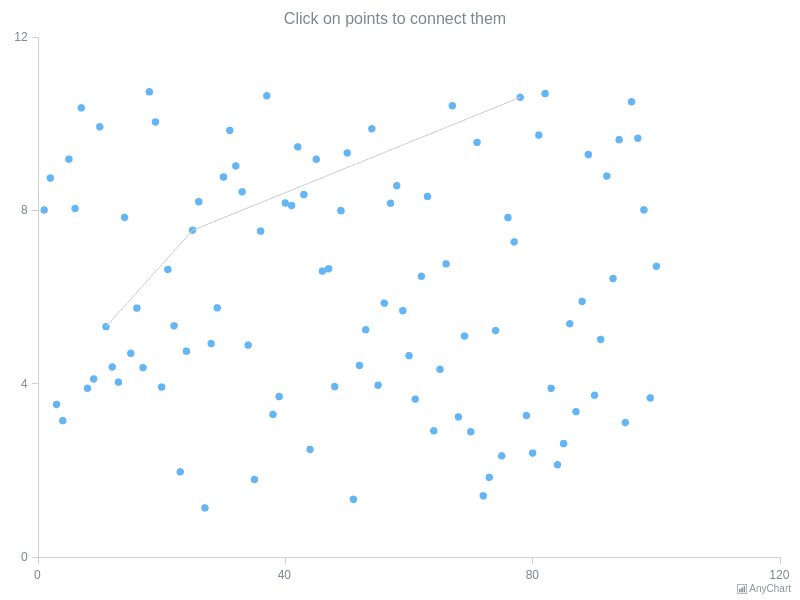 Points OperationsAn interactive Marker Chart where markers can be connected with each other by clicking at them. 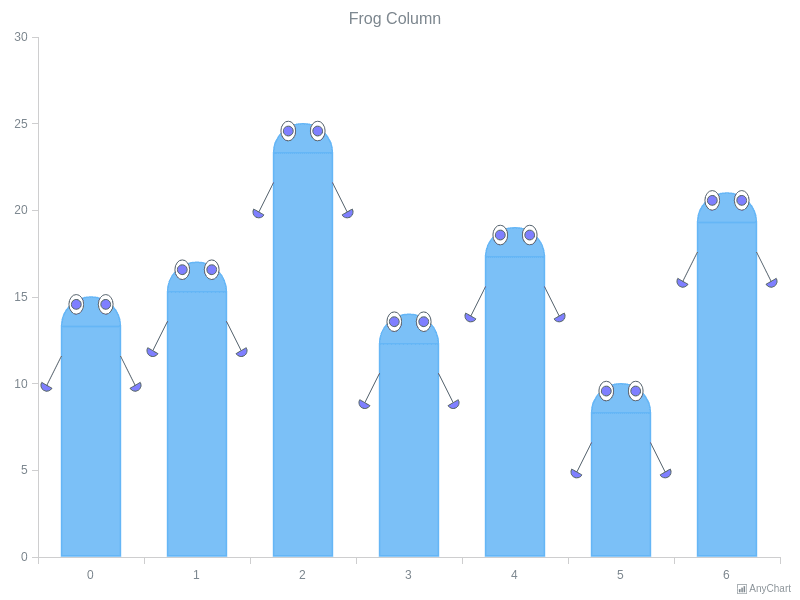 This function might be useful if you need to create a graph on a chart.